so last thursday, we held a blog social at urbanic paper in venice. 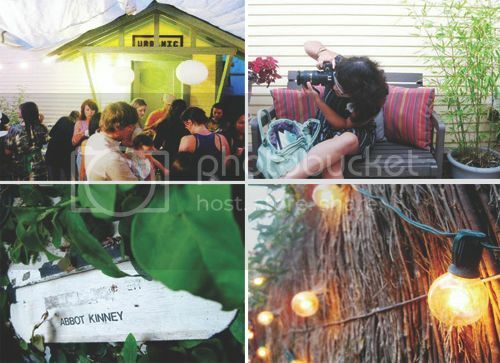 the little backyard of audrey's shop is so lovely, it was perfect for our little gathering. it was put on by parcel post + 100 layer cake + yours truly! these pictures are all taken by ruby from cakies - she takes the most amazing photos! the party planners. audrey from urbanic is the sweetest and it was so fun to meet the girls from 100 layer cake! Hurray for new friends! 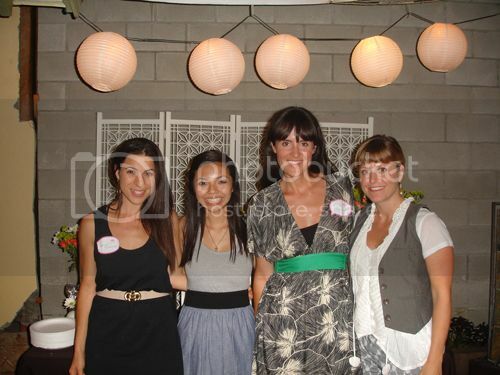 Helen from Sheer Whimsy, Rachel from Heart of Light, Monica from A Designed Life, and Rubyellen from cakies. I think I'm definitely wanting to do a holiday gathering and possibly some craft meetups! You can see other follow-ups of the blog social at wiley valentine, parcel post, cakies, and sheer whimsy. 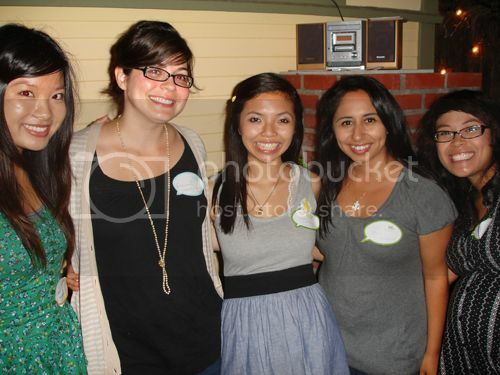 It was so fun to get to meet you in person, along with all the other lovely bloggers! Oh my goodness! This is awesome, Everyone should come to Vegas and I will be the little Tour Bloggita Guide! Oh wow. I wish I lived in SoCal. You guys can put on quite the party. How fun!! How does one get to go to one of these? How fantastic, such a great idea, I'd love to hold one this side of the pond! Looks so fun. Lucky gals, I'm jealous. What fun! Everything looks so cute. I loved doing this with you! So glad we connected!